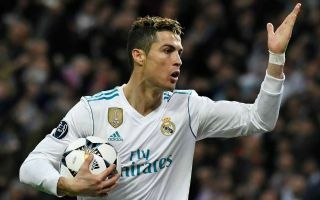 Real Madrid star Cristiano Ronaldo has reportedly given his seal of approval for the club to complete an ambitious transfer this summer. The Portuguese is said to have a great deal of sway and influence behind the scenes at the Bernabeu, with Don Balon claiming he’s given the green light for the club to sign Juventus forward Paulo Dybala. The Sun first linked United with an interest in the Argentina international a few months ago, while TMW reported more recently that scouts from the club were set to watch him in action for Juventus against Tottenham in the Champions League this week. He duly impressed by scoring Juve’s winner at Wembley in a second-half comeback, and it seems he’s impressed Ronaldo with his performances for the Turin giants. There certainly seems room for a player of Dybala’s quality in Madrid’s attack, with the 24-year-old likely to prove an upgrade on struggling stars Karim Benzema and Gareth Bale. Paulo Dybala to Manchester United or Real Madrid? And with Ronaldo largely playing on the left of the front three at the Bernabeu, Dybala would not clash with him, having mainly played up front or starting from the right-hand side to cut in on his preferred left foot for Juventus. Despite United having plenty of options in attack, it would be a blow if Real beat them to Dybala’s signature as they need all the help they can get to close the gap on Manchester City next season.